Lenox — His touring show, “An Evening You Will Forget For The Rest Of Your Life,” is billed as a musical comedy act, and, yes, frenzied laughter will commence the moment he and Martin Short step onto the Shed stage at Tanglewood on Sunday, Sept. 2. But when it comes to playing the banjo, Steve Martin is not kidding. Neither is the bluegrass band he intermittently fronts, the Grammy Award-winning Steep Canyon Rangers. As his long track record attests (e.g., he won a Grammy with Earl Scruggs for Best Country Instrumental Performance in 2002), he is serious about the music he writes and performs. But Sunday’s show, a mix of stand-up comedy, musical numbers, and reminiscences of the performers’ careers and collaborations is designed mainly for laughs. The extent of Steve Martin’s professional accomplishments is staggering. In fact, the list of awards and nominations he has received requires its own Wikipedia article (as does his lengthy filmography). Actor, comedian, writer and singer Martin Short first came to national prominence as a cast member of Second City Television but is better known for his many appearances on Saturday Night Live (not to mention dozens of other television shows and films). 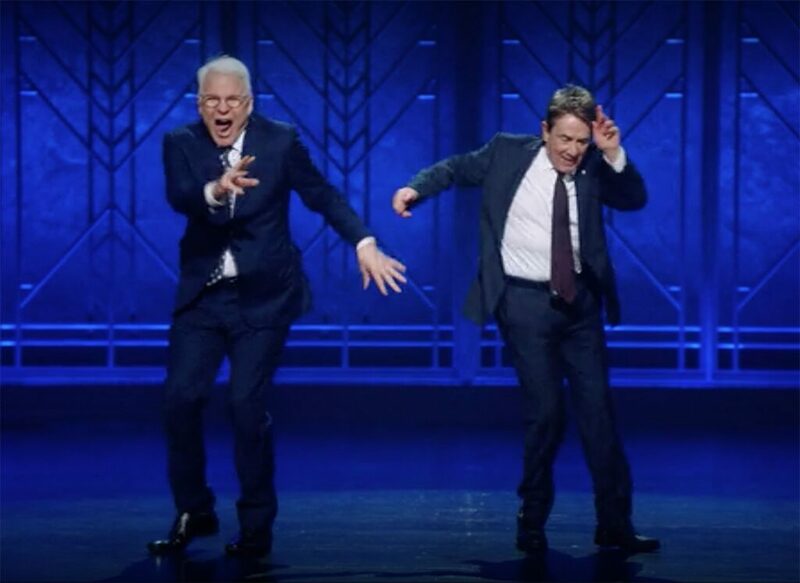 The list of his professional awards and honors isn’t as lengthy as Steve Martin’s (and the two joke about this on stage), but he has been well recognized over the years, especially with Emmy and Tony awards. In all of his performances, Martin Short is wickedly and singularly funny. 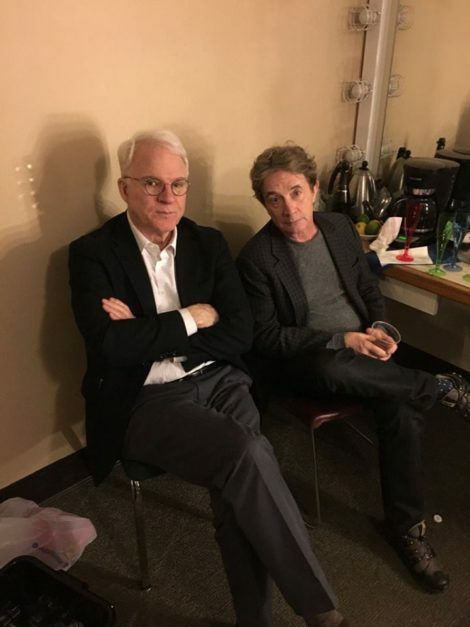 Steve Martin and Martin Short have been touring together sporadically since 2016. To no one’s surprise, they have gotten their act down to a fine science.